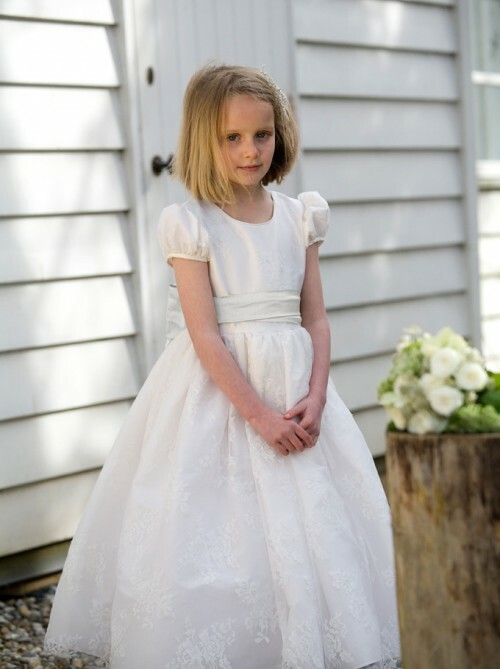 A beautiful ballerina-length flower girl/ bridesmaid dress with delicate ivory lace layered over white, ivory or shell. Features pretty puffed sleeves and an integral petticoat. Sash and covered buttons are available in a coloured silk of your choice – view the full colour range here.